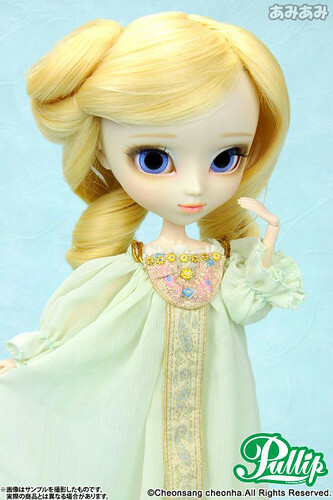 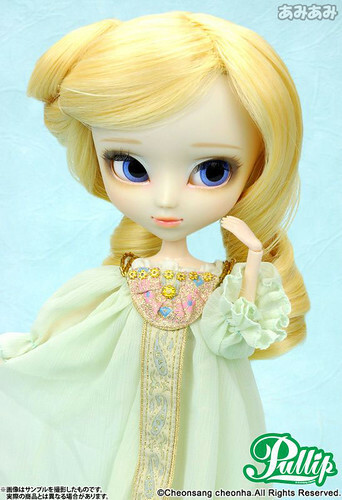 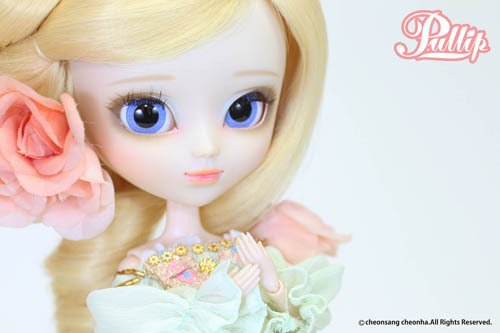 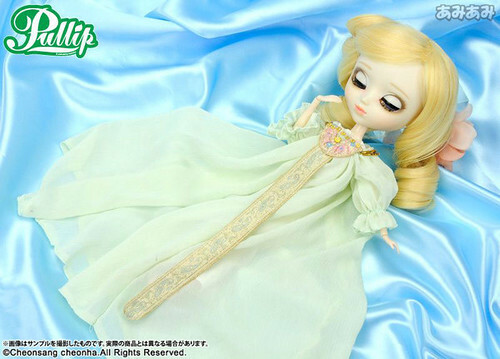 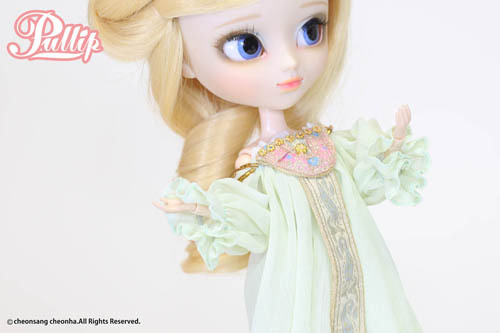 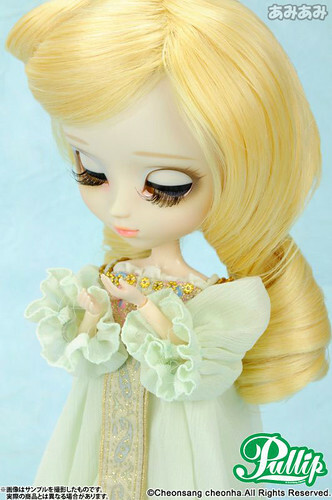 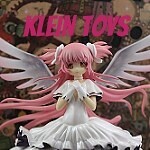 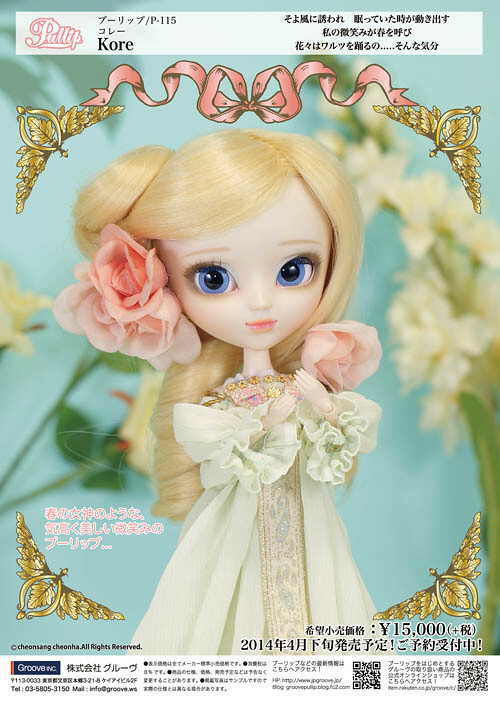 Pullip Kore is an original release, her inspiration seems to be a spring goddess! 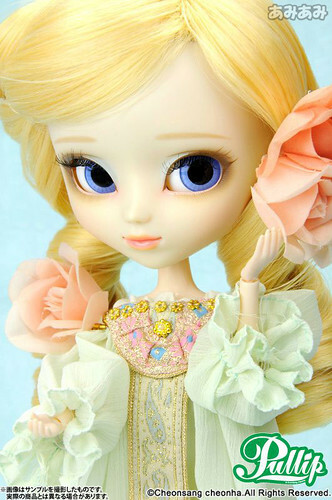 Feel Like So: Drawn by a gentle breeze… The sleeping time starts to move… My smile calls for spring.. 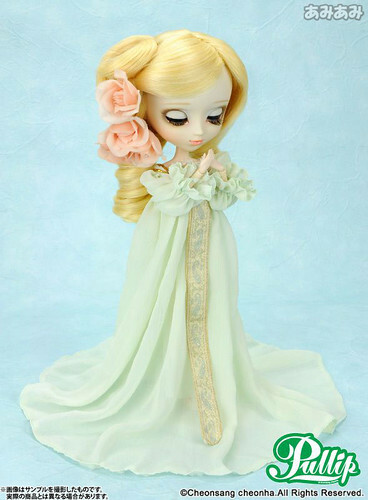 The flowers dance the waltz… feel like so. 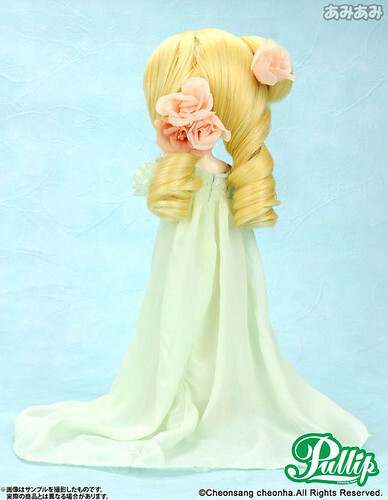 Wig: Mix of a couple of different shades of yellow. 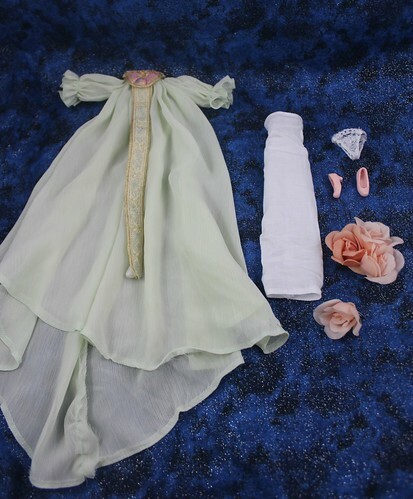 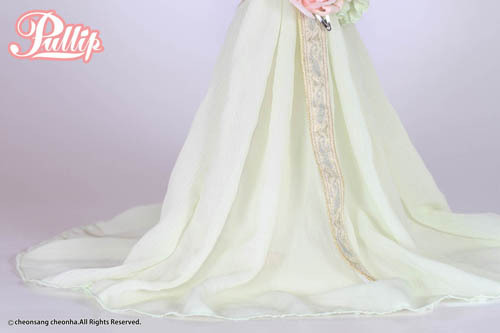 Stock: Kore’s stock contains a long flowing pale gown, a plain white inner dress, shoes and two floral hair accessories, one large and one small. 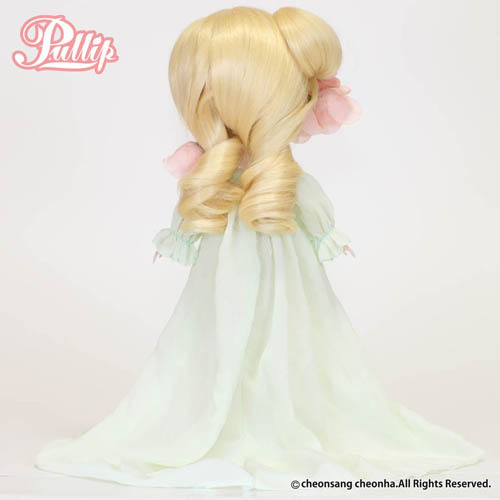 Known Issues: I advise against playing with her wig too much, it is sewn into place, if it were to come down it would be next to impossible to get back up like it was.